Shush. Do you hear that? That’s Grace Kelly turning in her grave. Kelly, a former actress turned Princess, is one of the most iconic women of the 20th Century, if not the greatest. But telling her story is no easy achievement. Enter French director Olivier Dahan, who brought visionary zest to Edith Piaf in 2007’s “La Vie En Rose” starring Oscar winner Marion Cotillard. So why not cast Nicole Kidman this time around as Grace Kelly? Add to that the underrated Tim Roth as Kelly’s husband, Prince Rainier, and the great Frank Langella as Father Francis Tucker and Kelly’s dear friend and what do you get? A disaster. Shush. Can you hear that? That’s blind ambition being gutted by terrible execution. Aside from the staggering beauty of Gigi Lepage’s costumes and Eric Gautier’s cinematography, nothing works. The actors are buried in the art direction, along with feeling. The film feels dull and lifeless. Dahan and his writer Arash Amel take risks by conceiving Kelly as an unhappy wife and princess. That made me crazy. But not as much as hearing Kidman’s cheesy speech about “love” and “fairy tales”. There may be worse movies this summer than “Grace Of Monaco” (bring it on, “Transformers”), but there won’t be a more crushing disappointment. Yes the stunning customs and cinematography will still make it worth watching it on the big screen … just too bad all the right ingredients were there – but the script was too weak (and wrong). 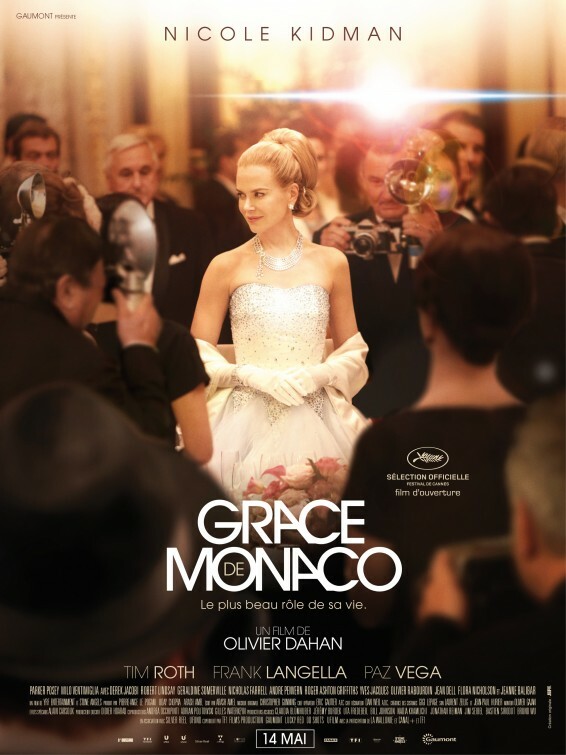 If one is remotely interested in this movie, it would serve them well to read the actual story in the new book “My Days with Princess Grace of Monaco”?